THANK YOU for your overwhelming support! All our tables have been sold out. Donations are still welcomed. Email us at dml@caritas-singapore.org. For more information, go to www.caritas-singapore.org/dml7. We look forward to seeing you at Down Memory Lane! Oh, how we miss the 70s and 80s. From classic TV theme songs of Sesame Street, Happy Days and Great American Hero, to John Denver and Eagles, the retro dance hits by ABBA, Bananarama and Kylie Minogue. Join us as we go back in time for an evening of feel-good funk, great food and good cheer! 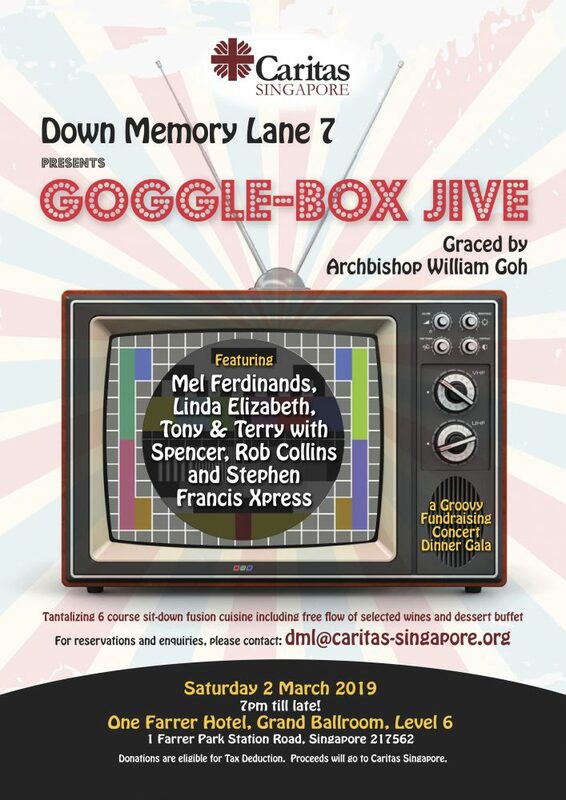 This fundraising dinner will be graced by Archbishop William Goh.